Meta-analyses of clinical trials comparing CSII with traditional insulin injections usually show a small, but significant advantage of CSII with respect to HbA1c and risk of severe hypoglycemia. On the other hand, CSII is associated with a small, but relevant risk of ketoacidosis, mainly due to malfunction of insulin pump and/or catheter occlusion. During last time, the technology of insulin pumps and infusion sets has improved as the profound evolution in type and schemes with traditional insulin injections. Aim of the present study is to update previous meta-analyses comparing CSII with traditional insulin injections in subjects with type 1 diabetes. Specific subgroup analyses were designed for assessing the effects of CSII in comparison with basal-bolus MDI, with short-acting analogues as bolus and long-acting analogues as basal insulin. In addition, an exploratory analysis was performed to verify the effect of CSII in insulin-naïve patients with type 1 diabetes. The present analysis includes all randomized clinical trials comparing CSII with traditional injections in type 1 diabetes, with a duration of at least 12 weeks. Animal studies were excluded, whereas no language or date restriction was imposed. If duplicate publications of a single trial were present, the paper containing more adequate information was considered as principal publication. In trials comparing CSII with basal-bolus MDI, performed before the introduction of rapid-acting analogues, regular human insulin was used for CSII, and as prandial insulin in control groups. CSII was associated with a significant reduction of A1c, in comparison with MDI, irrespective of the use of either human insulin or rapid-acting analogues. However, in trials with rapid-acting analogue the advantage of CSII was significantly smaller than in trials with regular human insulin (HbA1c difference: − 0.29[− 0.46; − 0.13] vs − 1.93[− 1.84; − 0.42]%; p = 0.02). Different rapid-acting analogues provided similar results (HbA1c reduction vs MDI: − 0.25 [− 0.48; − 0.02]%, p = 0.03, and − 0.29 [− 0.49; − 0.09]%, p = 0.005, for lispro and aspart, respectively). 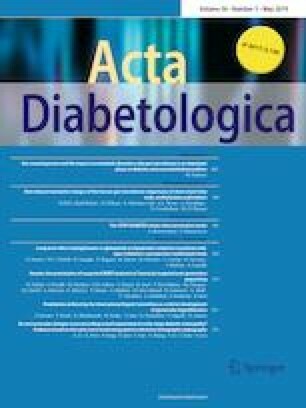 In addition, in trials comparing CSII with basal-bolus MDI, CSII reduced HbA1c to a similar extent irrespective of the use of either NPH or long-acting analogues as basal insulin in the control groups (HbA1c reduction vs MDI: − 0.31 [− 0.55; − 0.06]%, p = 0.01, and − 0.20 [− 0.38; − 0.03]%, p = 0.02, for NPH and long-acting analogues, respectively. With respect to severe hypoglycemia, CSII did not produce a significant reduction of risk in comparison with traditional insulin injections. Conversely, CSII was associated with a significant increase in the incidence of reported diabetic ketoacidosis (DKA). Notably, the increased risk of DKA was significant in trials comparing CSII with conventional insulin therapy, whereas only a nonsignificant trend toward an increased risk was observed in comparisons with basal-bolus MDI. Only two trials comparing CSII with basal-bolus MDI, both using rapid-acting analogues, were performed on insulin-naïve type 1 diabetic patients. When those two trials were analyzed separately, CSII did not produce any relevant effect on HbA1c (difference from control: − 0.10[− 0.38; + 0.17]%; p = 0.46). No meta-analysis could be performed on either severe hypoglycemia or DKA, which were not reported by one of the two trials. CSII seems to produce a small improvement in HbA1c in patients with type 1 diabetes inadequately controlled with MDI. This apparent effect, which could be partly due to publication bias, is smaller when MDI is properly performed using basal-bolus schemes with short-acting insulin analogues. Other outcomes different from HbA1c (such as quality of life) could be relevant for the choice of CSII instead of MDI. In addition, further studies are needed to better define the profile of patients who could benefit most from CSII. The online version of this article ( https://doi.org/10.1007/s00592-019-01326-5) contains supplementary material, which is available to authorized users. This article does not contain any studies with human participant or animals performed by any of the authors.